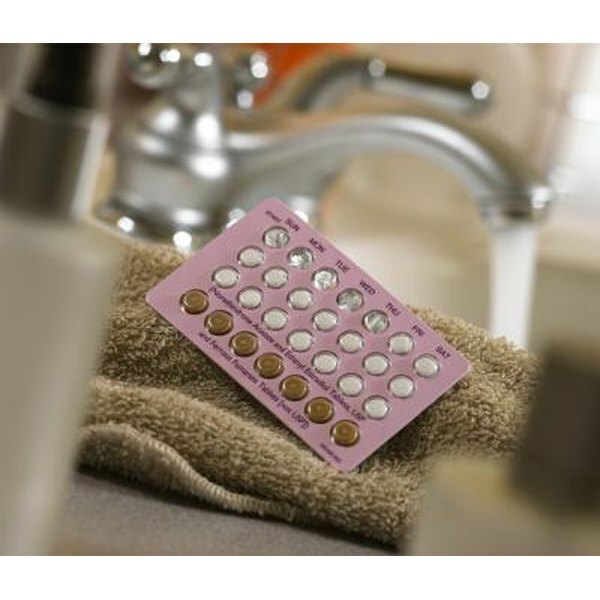 Birth control pills are a combination of estrogen and progesterone; and sometimes just one of the hormones. The hormones in the pills are to prevent the ovaries from ovulating, or releasing eggs, so that pregnancy cannot take place. The hormone levels in the pills vary depending on what type of pill your doctor prescribes for you. Sometimes women can react to birth control pills, experiencing mood swings, depression, fatigue, weight gain, and nausea. Changing brands of birth control pills can bring on some of the same effects of starting any brand, especially if there are higher or lower doses of hormones in the pills. If you did fine on your previous pills, you should not experience any trouble switching. However, if there are any side effects of changing pills, they are usually the same symptoms you felt with the onset of effects from the pill in general. You may experience fatigue; again, nausea, breast tenderness, spotting, and maybe weight gain. If you have been switched from one brand of birth control pills to another by your doctor, the best way to adapt to the change is to simply start the new pills at the same time you would start the next pack of your old pills, following your menstrual cycle. Some women prefer to pick up the new pill during the middle of their cycle of pills, which is fine. It can work, but to be less confusing, it may be easiest to wait until your old ones run out, begin your cycle, then start your new pills. When changing pills, if days are skipped, the chances of pregnancy are greatly increased. If you have any question as to how to change over from one pack to another, talk to your doctor. It is always best to use extra birth control protection or other methods of birth control if you plan on missing doses, or accidentally miss a dose of your new pills. Some women may have trouble with depression on the pill, due to the hormone levels found in it. Bad spouts of depression may be the reason for switching pills. If the depression worsens, or does not get better on the new pills, consult with your doctor.